Meet Your Marietta & West Cobb Dentist | Michael L. Howard D.D.S, P.C. 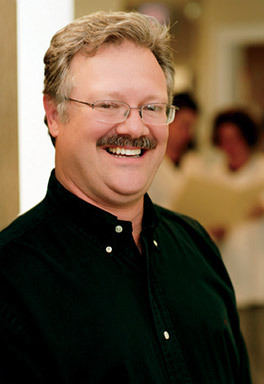 Dr. Michael Howard has provided dental care to the Marietta community for over 30 years. A 1981 alumnus of prestigious Emory University School of Dentistry, Dr. Howard graduated with the honor of being the only student in his class to receive the International College of Dentists Outstanding Achievement Award. He was also the first graduate invited to join the teaching staff of Emory's Department of Crown and Bridge immediately after graduation. Dr. Howard embraces new technologies that can improve his patients' oral healthcare experience. He was the first dentist in Cobb County to adopt laser technology for cavity removal. He's also a member of the American Dental Association, the Georgia Dental Association, and the Northwestern District Dental Society of Georgia. Dr. Howard actively pursues continuing education and stays current with advances in dental technology to offer outstanding patient care. Dr. Howard is a very accomplished pianist, and he also loves tennis, hiking, cycling and spending time with family. He is married and has three wonderful grown children.